Artificial Intelligence is the holy grail of computing. Learning through highly sophisticated Deep Neural Networks (DNN) is the critical ingredient enabling machines to be so intelligent that they learn on their own. In this neural learning environment a perceptron is being trained for object recognition and classification. Already academia, scientists and a broad spectrum of industries recognize GPUs as the computing platform to train complex DNNs. 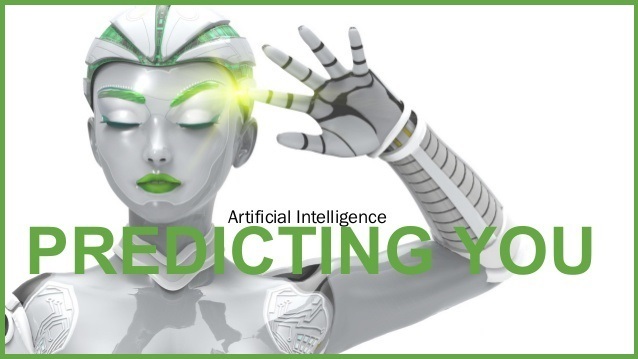 In the science of Predicting You only AI scholars and coding scientist totally comprehend the distinct programming styles utilized by the top thirteen Tribes of Artificial Intelligence. Regardless of the AI programming tribe there must always be a means for learning. One very commonly used algorithm is reinforcement. GPU accelerated computers continuously process different scenarios in a trial-and-error format to stepwise learn the best decision making actions. Learning AI algorithms have enabled semi-autonomous cars with their perimeter of sensors to make driving decisions in situations that involve multiple objectives and safety decisions. Regardless of the recent advances in the army of sensors that provide input to autonomous vehicle control systems, humans will be required to co-pilot until this technology matures to full autonomy. Already certain Tesla models armed with 8 cameras, 12 ultrasonic sensors and forward radar can determine appropriate freeway driving lanes and navigate on and off ramps. Just this month Toyota and industry leader Nvidia announced their partnership to use the Nvidia Drive PX as the artificial intelligence computing platform for future autonomous models. The science of autonomy moves forward at a rapid pace. As semi-autonomous vehicles move into the streets along side human driven obstacles a tsunami of real time situational data will be generated every second of movement. Each vehicle can be characterized as a data center on wheels. Theorists predict one million autonomous cars will produce as much data as half the population on earth. On top of the autonomous data generated, Nvidia forecasts one hundred trillion more images per hour will be captured by surveillance cameras across the globe by 2020. The storage, real-time and post analysis of this new tsunami of data will be required for autonomous control, AI code debugging, regulatory compliance, litigation and public safety. DroneData provides GPU accelerated computing solutions to minimize big data analytics execution time and to enhance the quality of images and frames while simultaneously reducing storage and transmission overhead. Learn more by visiting DroneData hosted GPU Accelerated Servers and by visiting HawkSight Video Enhancement Solution.